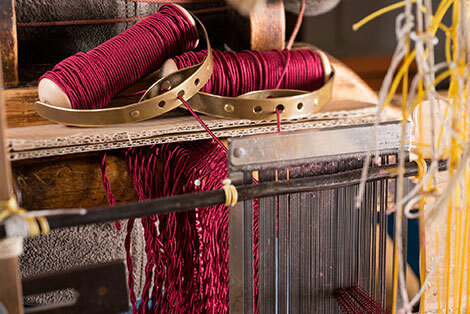 In our weaving mill we manufacture braids and fringes with unique quality using traditional methods. 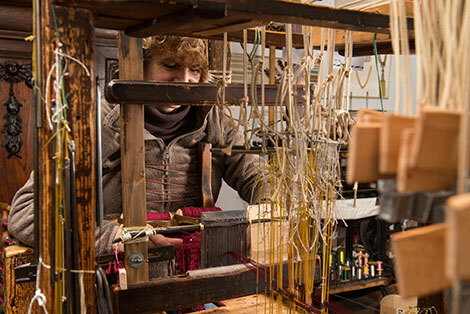 In order to reconstruct historical works or furnishing elements or upon request, to make replicas of passements from famous palaces, We have hand looms that are more than 100 years old in our work shop. 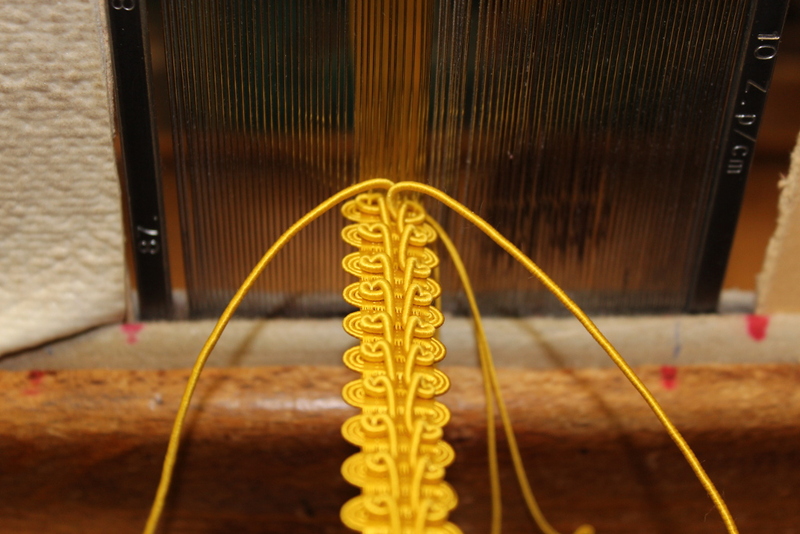 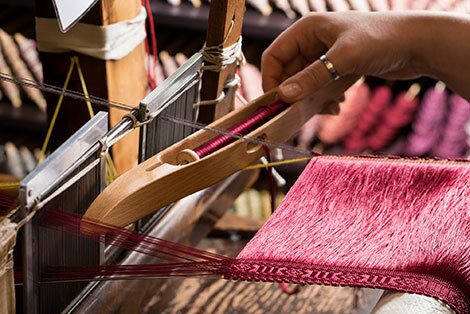 As it was done hundreds of years ago, so we can weave almost every braid using the original historical method. 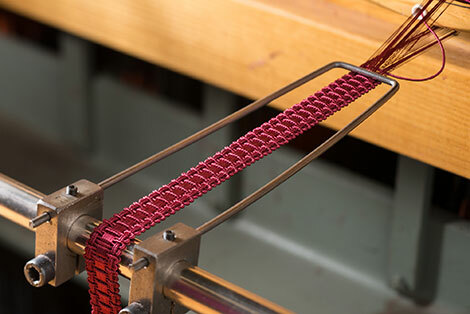 For longer pieces that follow a pattern, our classic jacquard looms are used. 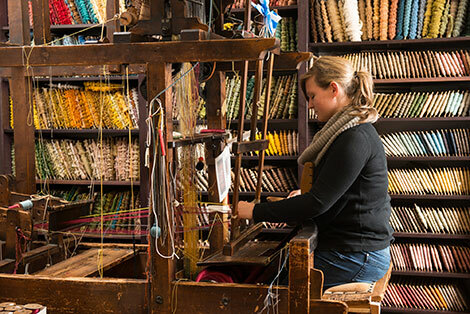 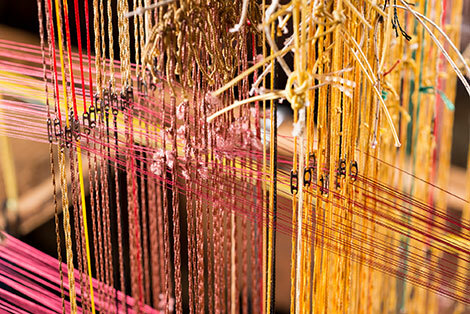 With the use of punched cards, which can be individually customized to the respective pattern, braids or fringes can be rewoven on these looms (e.g. 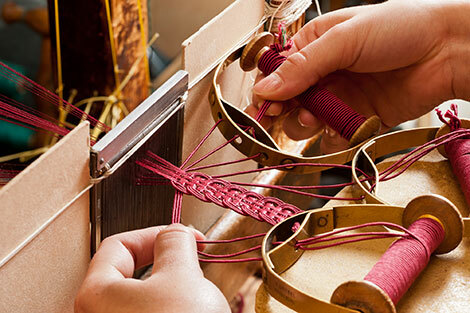 in the reconstructions for the Schönbrunn Palace in Vienna). 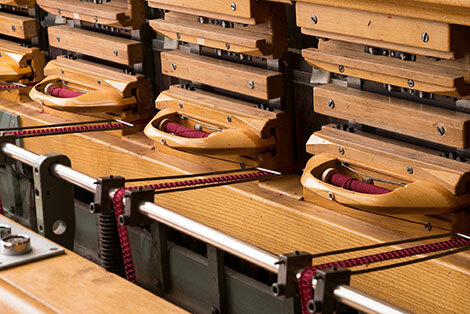 In our workshop we also have automatic shaft looms with which several braids can be woven at the same time. 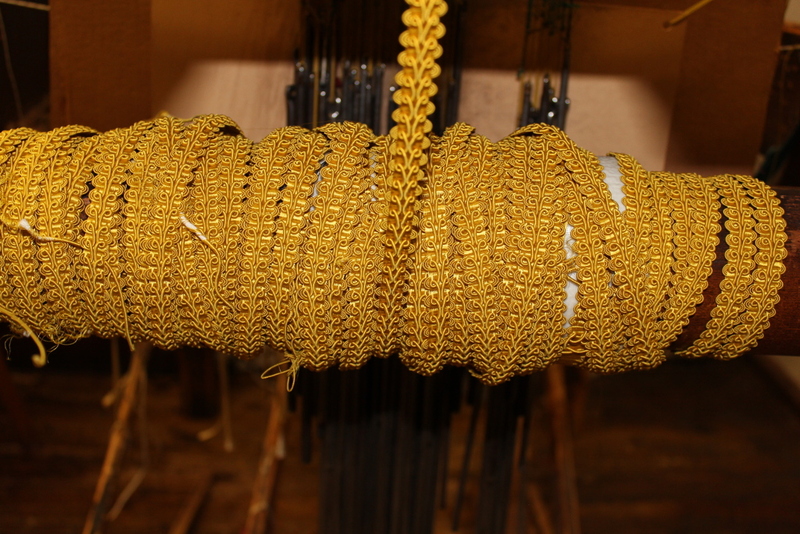 These are mainly used for the production of furniture braids and ribbons.